Brazil’s natural beauty and international from the Carnival allow Brazil to attract thousands annually, right up to 2014- 2015 and 2016 figures being yet to be consolidated (although they have likely fallen slightly so far this year due to the Zika virus. The main attractions are Rio De Janeiro- with it’s Carnival- and the natural beauty of the country. This includes much of the Amazon rainforest, waterfalls, 8,850 km of coastline, volcanic beaches and many other attractions. Ecotourism has been a major reason for the Brazilian increase in tourism. The average growth of ecotourism in Brazil annually is around 12%. The average number of tourists increased from 1.5 million in the 1990’s to over 4 million in 2005. Brazil had 5 million visitors in 2008. Tourists in the summer of 2004 generated US$2.78 x10^9. During the 2004 Carnival in just two weeks in the winter, 540,000 tourists visited Rio De Janeiro, generating US$270 million. In 2005, tourism represented 7% of Brazil’s employment, employing over 8 million people. Revenue from tourists reached US$5.78 x10^9 in 2008. Popular to invest in by other countries, such as Spain; Brazil and Spain entered a partnership in 2005. It is a common destination for Spanish tourists. Spain has invested US$74 million into developing hotels, infrastructure and Northern ports. Small improvements to Rio De Janeiro’s major drug issues, violence and slum dwellings have been made from tourist money. Demand for restaurants, clubs, bars, shops, hotels and other services have improved. Tourism has allowed rural dwellers a greater variety of employment; previously there were few options outside of logging, poaching and mining, but now locals have more of a variety of jobs they can enter. Locals are paid to help preserve the environment as tourists don’t want to see the evidence of logging or mining in the forests. Ecotourism improves local education and health compared to doing harder labour such as mining. The FIFA world cup had a huge effect on Brazil’s tourist industry. It brought in R$57,217,000 in 24 different economic sectors. R$41,900,000 was direct and R$15,317,000 was indirect. Manau is in the middle of the rainforest. Fan parks were set up aroudn the city to view matches and events. According to FIPE the World Cup added US$7.6 x10^9 to the Brazilian economy. Brazil expected to have spent US$4.1 x10^9, equivalent to a +0.5% change in the GDP. 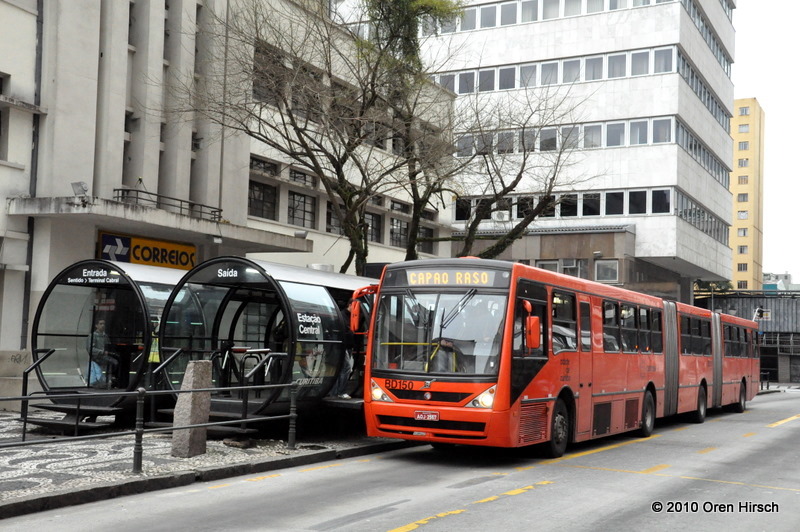 Curitiba has a population of 2.5 million, and is the first Brazilian city to have delegated bus lanes as part of its integrated transport system. The system has a smart card system and terminals have shops, cafes and a post office. The BRT is like a cheaper rail service. The local authority has recently switched to using a mixture of diesel and biofuel which is less polluting than just diesel and also helps encourage farming and agriculture. The system maintains 2,100 buses along 385 lines. There are 5000 bus stops, 351 tube stations and 29 integrating terminals. 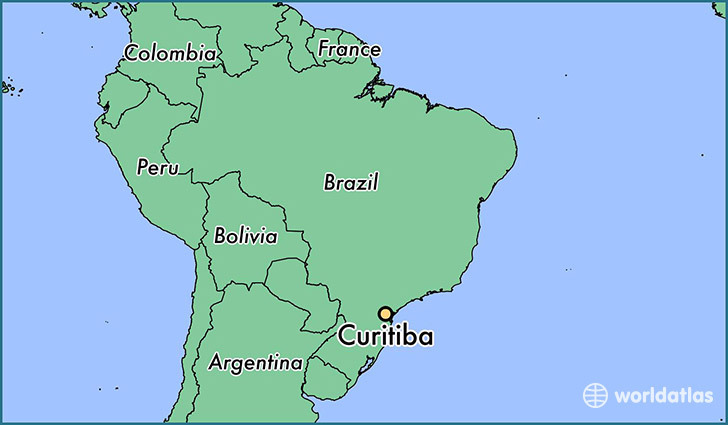 In 1989, Curitiba became Brazil’s first city with widespread recycling facilities. Since then 419,000 tons have been separated out. 70% of the waste is recycled. The waste disposal has focused on employing the previously unemployed, including the homeless and those recovering from substance (mostly alcohol) abuse. Recovered materials are sold to local industries and fund social programs. Residents of 6 neighbourhoods have been able to bring waste to centres where they have exchanged 1,000 tons of garbage for nearly a million bus tokens and 1,200 tons of food since 1991. 7,000 people benefit from about 44 tons of food annually at the moment. In 3 years, 100 schools traded 200 tons for 1.9 million books. It improves the diet of the poor and earns farmers business. When flood control was distributed out in the 1970’s, the city used funding to but spare land and made a network of 30 parks including lakes.The city has 51 m^2 of green space per person and an effective flood control system. There are 200 km of cycle paths and 1.5 million trees along streets. Builders get tax breaks if they integrate green space into their plans. Land around the parks is more valuable, so helps fund the city’s economy. Buildings are often put to use in new ways and buses when retired are used as mobile classrooms or offices. A flooded quarry turned into the Wire Opera House in two months, and another into the Free University of the Environment. The refuse dump became a botanical garden. Down town areas have been pedestrianised somewhat, including a 24-hour mall. The “Sol Criado” system finances restoration of historical buildings, and creation of green spaces. Buildings can be built to a “maximum” height, and if they are, they have to donate money to the Sol Criado system. Since 1990, the Municipal Housing Fund has provided financial support for housing. 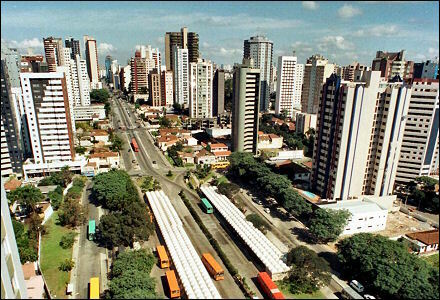 After the national housing collapse in 1985, people came into Curitiba, and the city’s public housing program bought up the last empty large plot available within the city- which had enough space for 50,000 houses. Landowners built the homes themselves and each received a pair of trees and a housing consultation with an architect. Palm oil can be used to generate ethanol. Ethanol can run 90% of Brazil’s new cars, and a car run on ethanol produces 50% of the emissions of a standard petrol car. However, the forests that palm oil are collected from are also home to orangutans and causing habitat loss there.